Back to nature! 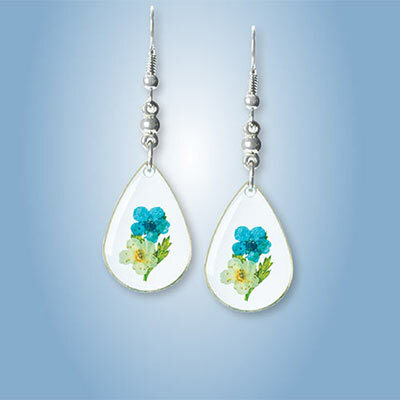 Totally unique and eye catching, these clear acrylic earrings each hold a small bouquet of real flowers! Tiny blue and ivory blooms, finished with vibrant greenery, are perfect for nature lovers or flower fans. Handcrafted. French wires. 2"l.